Great gift for one year old boy. 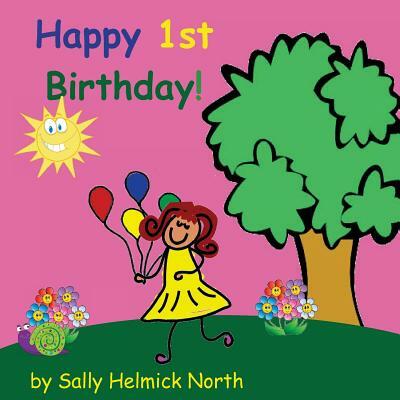 A really cute birthday book with sweet and simple rhymes, and cute and silly pictures. "You might have cotAdd a personalized book with his name. Copy and past theton candy...and you might play on the slide Or maybe a nice puppet show, if you all stay inside. They'll bring balloons and presents...and there might just be a clown And some of your good buddies will be jumping up and down " Add a personalized book with your child's name. Copy and paste the following address into your browser to go to my facebook page. You can search for your child's name there and it will link you back to the Amazon listing. https: //www.facebook.com/pg/sneakysnailstories/shop/?ref=page_internal If you would like to see some sample pages, copy the following web address paste it into your browser. http: //www.bookemon.com/read-book/661681 (Make sure you come back ) Better than a birthday card, get them a book It's sure to make them smile. See all of my other Sneaky Snail Stories by searching for "Sally Helmick North." I have lots of cute stories to choose from.